I’m a little behind in my blogging so let’s see if I can catch up today (which means there might be a quite a few posts today depending on how far I get!). This beautiful birthday cake is one that my daughter Courtney did all by herself! It turned out awesome! She made it for Ngaio and Ngati who are the children of her boyfriend Jaren’s friend Devon. 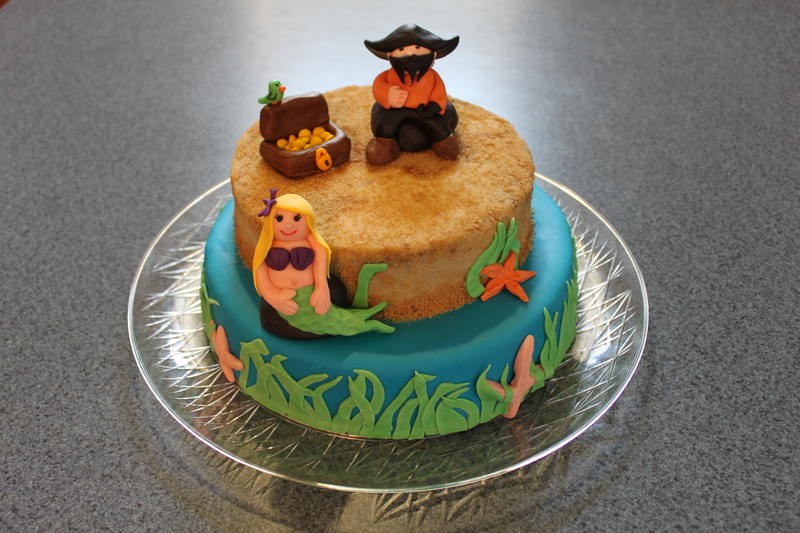 🙂 Ngaio wanted mermaids and Ngati wanted pirates and I think she did an excellent job of incorporating them onto the same cake. She got really creative and covered the top layer in brown sugar to make it look like the beach. Way to go Cort!